Looking to design an engagement platform? 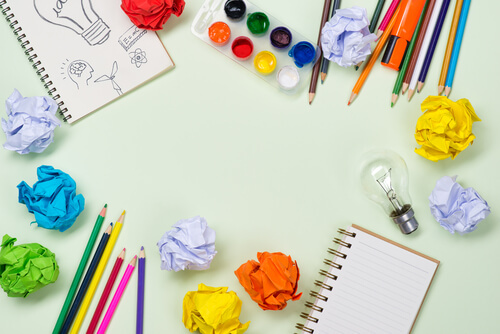 Are you ready to design an employee engagement platform that your people will actually use? 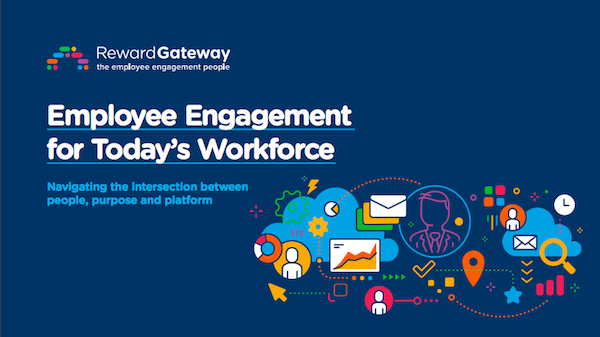 Discover an overview of the changing employee engagement landscape and how to better connect to your workforce. 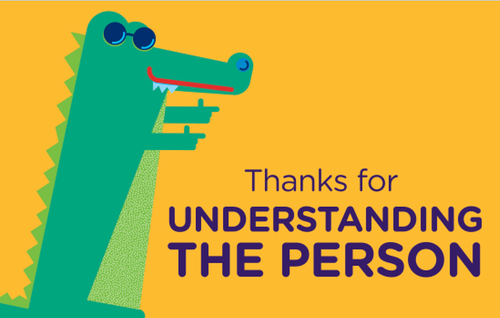 In this third part of our HR Heroes series with Emma Elder, Engagement Manager at Choice, Passion, Life (CPL) she talks about how the organisation brought its employer brand to life by designing a bright, energetic, all-in-one employee engagement hub where its people can access everything they need to stay connected with each other and the business. 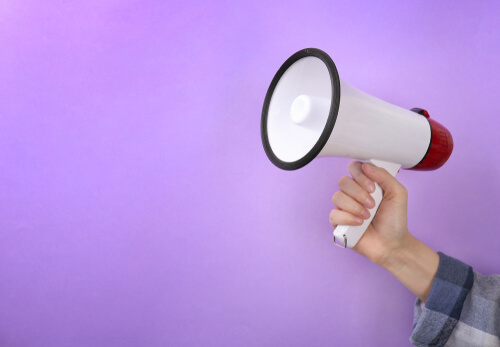 Used employee feedback and insight to drive CPL's employee engagement initiatives. Built the business case for investing in their employee engagement platform. Read on to find out how you too can build a program that excites and engages your people in a way that drives technology adoption and employee connection. Q: How did you discover your existing engagement programs weren’t hitting the mark with your employees and it was time for a refresh? Emma: This was actually fairly simple; feedback from our engagement survey showed that our employees weren't satisfied with the benefits program that CPL was offering. Some employees couldn’t access or didn’t qualify for our existing benefits, so satisfaction was sitting at 25%. We used our engagement survey focus groups, as well as informal “in passing” discussion with employees to ask them about the existing program, and asked them what they would like to see improve. A lot of the feedback was that they wanted something that was relevant to them, increase in their disposable income or have something that would make that day-to-day expense a little bit easier. It was about making it instantly accessible, and not having to wait for gift cards in the post or waiting to be given something physical. We also got feedback that they wanted a way to easily recognise other employees and that communication was an important area that we needed to work on. It’s so important for any person/people who are key to managing your employee engagement/experience to be in touch with the business, working with them and alongside them to understand their day to day roles, as much as possible. Their feedback really informed how we would design and launch our new platform. Q: Once you got sign-off to use a specific employee engagement platform, what was the design process like? Emma: We wanted to make sure that it was going to grab people as soon as they went in and then they weren't going to get bored straight away. After we got the product approved, I partnered with our internal communications manager as well as an external brand advisor to work with us, and we received guidance from the implementation team at Reward Gateway on how to best use colours and branding on our engagement hub. We wanted to launch quickly so didn’t have the luxury of asking our employees for ideas for a reward program name, so we got some of the executive and employee representatives to vote for the name that resonates. We wanted a name that meant here at all is, it's all in one, it's all up here. We had a few names that were thrown around and 'Caboodle' just stood out to us. It really sat in line with our brand and then naturally all that the colours and the language came off the back of that. It really just means it's the all in one. Everything's here. Q: How important was branding when it came to creating Caboodle? Why did you invest so much time and effort into that aspect of program design? Emma: Branding is not only important for external marketing, it’s just as important for internal marketing. The program must be relevant and appealing for our employees. User experience is key: it has to be easy to use, or they won’t use it. We also understand that everything we do needs to support and embed CPL’s vision, mission and our pillars because this reflects why our employees want to work with us. Q: How do you get people excited about Caboodle and logging in? What are some of the things you share on there? Emma: Most of our employees don’t have access to the staff intranet, and don’t have company email addresses. They wanted a platform they could access in their own time, with the right information they wanted or needed to now. They didn’t want to have to wait for an email to come from us to their inboxes, and didn’t want to read lengthy newsletters to find the information they needed. 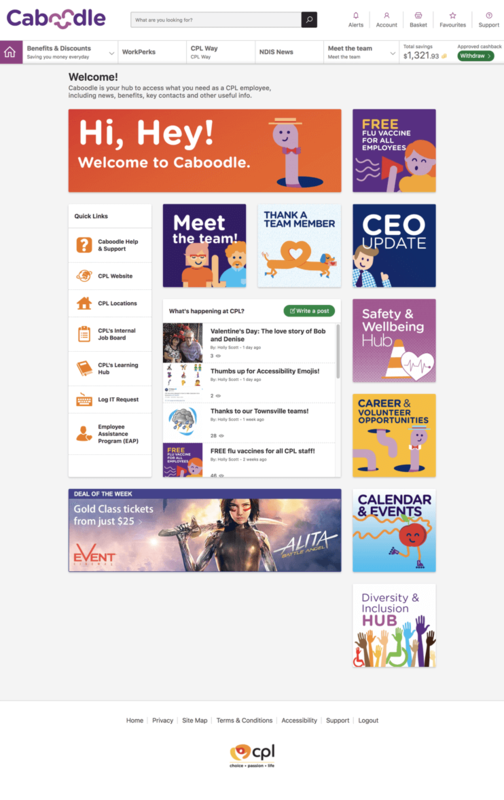 So now we use Caboodle as our communications hub, and we developed “Caboodle Comms” as our internal employee newsletter, it gives a quick snapshot into news, stories, events and other things, then they go into the platform to read more. 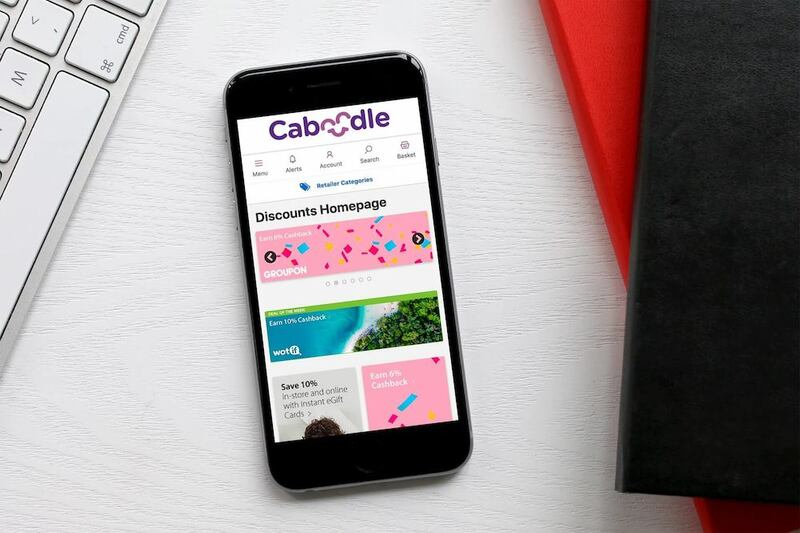 They don’t need to wait for the newsletter though – they can open Caboodle at any time and access up-to-the-minute news, as well as their benefits and recognition. The benefits and recognition provided that initial “what’s in it for me” to get them initially excited to log in and access Caboodle, then the news and content is just as important to keep them coming back. Q: What was the employee reception to the launch of Caboodle? Emma: Fantastic! When we launched, our CEO, Rhys really wanted to own the launch of this product, so the messages came from him and he featured in all of the launch videos. 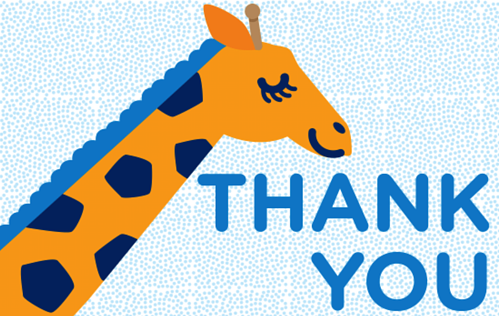 Caboodle is his promise to our employees and was created as a response to our engagement survey. When we finally launched it we did a roadshow of about 35-40 sessions around a few of our key locations over a very intense six-week period. It was good fun and a really positive experience. I went with Rhys and one of our senior executives, our General Manager of Services, Wendy, and we spoke to all of our employees to show them the platform and how to log in. Personally, I made sure that there was at least one or two people within each group that were really enthusiastically on board, and have them as a champion in each location to piggyback their enthusiasm and keep that going. So if we ever came across a colleague who was a bit like, "No, I'm not sure how to use it." I could say, "Well, John over here uses it and he just bought this with his employee discount. "If they can see someone that's like them having success then they will do the same thing. As I've said, a lot of our employees work in homes or in the community and they actually might just be working one on one with the client and never actually interact with another staff member. Seeing this type of news and communication to them is quite important to have a sense of community.